Neither state’s 2014 legalization initiative addressed public consumption. Attorneys have advised the five-member Alaska Marijuana Control Board that it lacks authority to approve cannabis lounges in which people age 21 and over can smoke, vaporize or eat cannabis because the initiative that legalized cannabis didn’t explicitly allow them. Marijuana lounges were not addressed in Washington’s 2014 legalization initiative. Washington lawmakers fixed that in June, passing HB 2136, a ban that makes it a Class-C felony to provide temporary or permanent space for marijuana consumption. Although Colorado’s Clean Indoor Air Act had already banned any kind of public smoking when the state became the first in the nation to legalize recreational pot in 2012, Denver activists recently pushed but ultimately dropped a controversial public consumption proposal for the city’s November’s ballot. In Alaska, commercial cannabis sales are expected to start in summer 2016, just as the state’s cruise ship high season begins. Earlier this year in Anchorage, another Alaska cruise ship port, the city effectively banned pot lounges. Pot is now regarded like tobacco in the city’s ordinance against second-hand smoke — an irritant harmful to employees’ health and therefore illegal. Adding to Alaska’s pot tourism angst are cruise lines’ strict anti-pot shipboard rules. Cynthia Franklin, executive director of Alaska’s Marijuana Control Board, said the state regulates marijuana as it does alcohol. Franklin compares pot lounges to “bottle clubs,” bring-your-own drinking establishments that are prohibited by state statutes. Some cannabis entrepreneurs are, so far, circumventing obstacles to public consumption by privatizing — opening members-only clubs where smoking, vaporizing, dabbing and even eating cannabis takes place out of public view. For a fee and by signing waivers acknowledging the presence of second-hand smoke, members can consume and share — but not buy or sell — in a BYOP, or bring-your-own-pot, model. In Anchorage, Pot Luck Events is a members-only private club on the northeastern shoulder of downtown — just 1.6 miles away from the cruise-ship port and in the path of disembarking passengers entering Anchorage’s historic district. Pot Luck offers out-of-towner day passes ($5) plus monthly memberships ($20) and yearly memberships ($200) for locals, governed by 14 rules that, among other things, ban cigarettes, alcohol and hand guns. Pot Luck’s website says “rules were out in place to keep our members and staff safe, happy and healthy.” Pot Luck Co-owner Theresa Collins said the club has more than 600 members. A pot party is scheduled for Halloween. Club Ned, in Nederland, Colo., near Boulder, is exempt from Colorado’s Clean Indoor Air Act — section CRS 25-14-205 allows smoking in “a place of employment that is not open to the public and that is under the control of an employer that employs three or fewer employees” — because it charges a membership fee and meets the employee threshold. Outside of Denver, iBake operates two divey membership clubs that charge fees to smoke, vape, dab and eat, and sell junk-food snacks and t-shirts emblazoned with pot puns. On Wednesday, the Englewood (Co.) Liquor and Medical Marijuana Licensing Authority unveiled draft guidelines for potential “marijuana consumption establishments” in the city. Portland’s World Famous Cannabis Café opened in 2009. Today, it’s legal and doesn’t require licensing under Oregon’s new marijuana law as long as it doesn’t sell the botanical drug and club members consume it out of public view. Located in a storefront around the corner from a medical cannabis dispensary and a grow shop, the club hosts music, comedy and stoner bingo. Visitation fees are $5 to $10. Last week, Anthony Johnson, the chief petitioner of Oregon’s legalization initiative and a member of the Oregon Liquor Control Commission’s cannabis rules advisory committee, argued unsuccessfully that the public needs legal and regulated places to consume cannabis. That regulated model may be in San Francisco, which allows medical cannabis dispensaries to provide lounge spaces where authorized customers with doctor’s approval can consume cannabis. 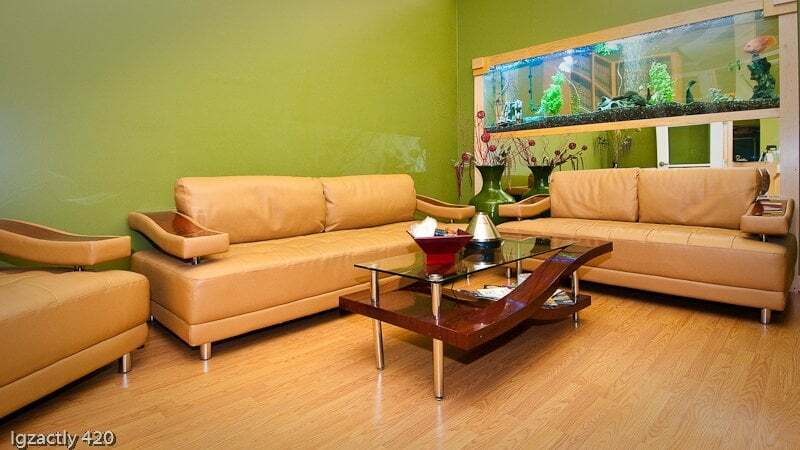 A half dozen of the city’s top dispensary lounges provide use of state-of-the-art Volcano vaporizers in environments ranging from artsy-fartsy to couch-comfy to Apple store-sleek. There’s no smoking — only vaporizing and eating. You can bring your own or purchase on premises. Some dispensary lounges are pet-friendly. One validates an hour’s parking. Several are located in are located in near high-traffic downtown tourist, shopping and entertainment attractions. “Dispensary lounges are an important feature of using cannabis — having the opportunity to enjoy it with your fellow human beings,” said Martin Olive, proprietor of The Vapor Room, a former dispensary lounge that functioned like a community center in San Francisco’s Haight-Ashbury neighborhood. The Vapor Room closed under federal pressure in 2011. In Vancouver, British Columbia, a cannabis-open city euphemistically called Vansterdam, local officials are cracking down on long-running “safe spaces” where people smoke, dab or vape freely, pressing an anti-smoking bylaw that was amended last fall to ban vaping any substance in public spaces. Vancouver dispensaries are no longer allowed to be “safe spaces.” Non-dispensary lounges that remain resemble bars, except patrons consume cannabis, not alcohol. Vaporizers and dab tools are provided. Marc Emery, the Canadian “Prince of Pot” who served five years in a United States federal prison for selling cannabis seeds internationally, said “safe spaces” are necessary in Vancouver, where anti-cannabis housing-ordinance evictions are growing in rapid pace with the number of cannabis dispensaries, now running about 80, most of them illegal. Emery’s 10-year-old Cannabis Culture Lounge (now with two locations) allows all forms of cannabis consumption — smoking, vaping, dabbing, you name it. Emery noted that the City of Vancouver owns and operates a safe-needle injection site for users of heroin, cocaine and methamphetamine, a situation he called “ridiculous and beyond understanding” as long as British Columbia’s largest city forbids public cannabis consumption. Landmark medical cannabis legislation signed by California Gov. Jerry Brown on Oct. 9 does not address statewide medical cannabis dispensary lounges, but at least one voter initiative being prepared for the 2016 ballot would authorize social-use pot lounges. However urgent advocates frame the need for regulated public places where adults can enjoy cannabis in sociable settings may seem, Keith Stroup, the founder of NORML who is in his fifth decade of cannabis activism, believes pot lounges are premature and their advocates are irresponsible. Stroup excoriated the sponsors of Denver’s social-use initiative, Mason Tvert and Brian Vicente, both co-authors of Colorado’s legalization initiative, for their lack of research on the political will of voters in an off-year election. “This was an impulsive act that should never have seen the light of day – at least not in 2015,” Stroup wrote in a post on Marijuana.com. Meanwhile, in regard to legal adult-use recreational bud, joints, hash, oil, wax, shatter and even edibles in Alaska, Colorado, Oregon and Washington: Consume ’em if you’re in a private residence whose owner approves of pot. While legal recreational cannabis states Colorado, Oregon and Washington struggle with regulations that prohibit public consumption of any kind — no bars, cafes or clubs for smoking, vaping or even eating pot, the linchpins for safe and sane cannabis tourism — San Francisco medical cannabis dispensaries offer a taste of social cannabis use in public spaces and provide a glimpse of cannabis tourism’s future today. All of this takes place under regulations endorsed by the local health department. A city that knows how, indeed. The San Francisco dispensaries in this map provide clean and comfortable environments located near some of the city’s major hotels, arts and entertainment attractions. In these dispensary lounges — some though-out, well-appointed spaces, some pressed-against-the-wall add-ons — qualified patrons can consume cannabis safely and discretely using the dispensaries’ state-of-the-art vaporizers. You can bring your cannabis, hash, concentrates and edibles. One dispensary validates parking. Some are pet-friendly. 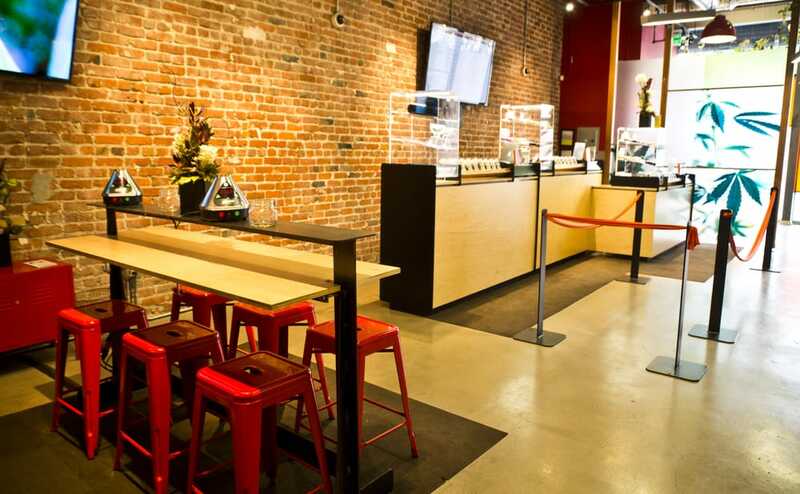 Smoking is banned but not every dispensary heeds the regulation — an infraction that led to the temporary closure of San Francisco’s most luxe vape lounge in August. You must be a California resident with the requisite medical cannabis recommendation from a doctor to enter a dispensary or vapor lounge. Photo credit: Bloom Room Collective via Yelp. WHY GO: Vape-only lounge a hip, colorful space tucked in the back of the dispensary, itself tucked behind frosted artsy red-white-and-orange panes — no neon green cross or pot leaf here telegraphing what’s inside. A communal table holding two Volcano vaporizers is ringed by six tall metal stools. Two walls of comic-themed oil paintings provide decoration and entertainment. WHERE: A short walk from both Union Square and Westfield Center, Bloom Room is located between Market and Mission streets behind the historic Old Mint Building in the heart of downtown San Francisco. Enjoy coffee with your cannabis? Bay Area darling Blue Bottle is 300 feet away in a semi-industrial alley surrounded by hotels, shopping and vestiges of the city’s Asian textile trade . GET THERE: From Powell/Market Street BART, Muni train or Muni bus, walk south on 5th Street, turn west on Mint Plaza and west again on Jessie Street. From Embarcadero or Mission district, take Mission Street buses to 5th Street. Walk north on 5th, west on Mint Plaza and west on Jessie. Photo credit: SPARC via Yelp. WHY GO: Vape-only lounge featuring Volcano vaporizers at each of four blonde-wood bench-and-table communal stations. It’s the sleek-and-airy cannabis dispensary equivalent of an Apple store, but with a free self-serve hot tea bar instead of a Genius Bar. In a neighborhood that showcases San Francisco at its grittiest, sidewalk check-in makes you feel like you’re clearing the line at a hot nightclub. Use the dispensary’s app en route to expedite your order. WHERE: One block from Twitter headquarters, two blocks from Uber HQ and near City Hall, the symphony, the opera and the Asian Art Museum. GET THERE: Using a ride-sharing app from Uber HQ on Market Street? It’ll cost you about $3.50 without tip. Otherwise, it’s a 1 1/2-block walk from the Civic Center BART/Muni station and Market Street bus and street-car lines. Walk one block south on 8th Street from Market Street. Turn west at Mission Street. SPARC is mid-block on the right. 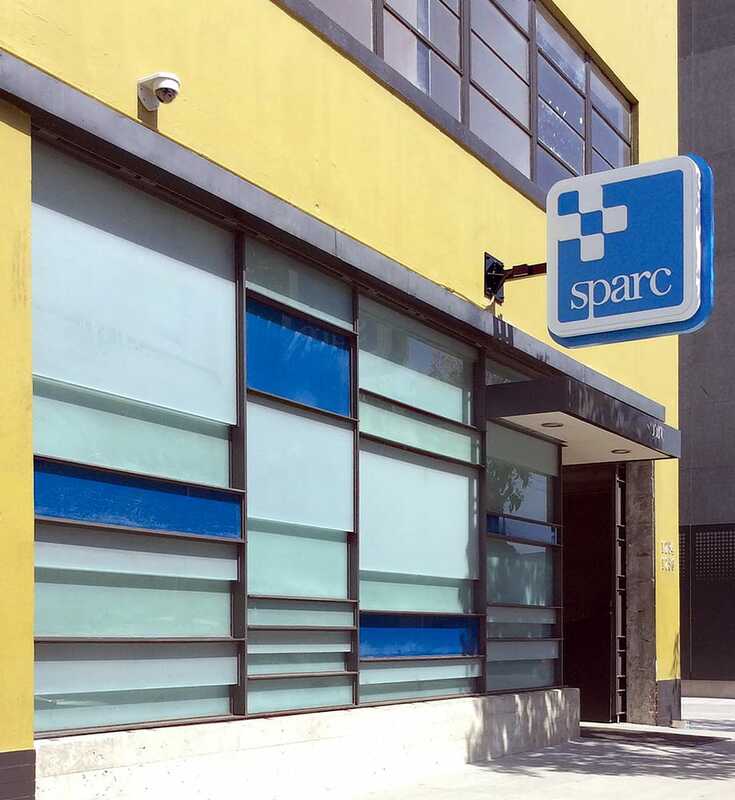 SPARC offers 1-hour free validated parking at SOMA Grand Garage one block east at 1160 Mission St. HOURS: 8 a.m.-10 p.m. daily except holidays. WHY GO: Currently closed after an inspection by the county health department received tip that smoking took place here and found lack of necessary permits, San Francisco’s largest and most popular lounge is now waiting to reopen as a vape-only lounge. With amenities such as sturdy tables and chairs, televisions, junk-food machines and a pool table, Lounge8four7 had operated like a laid-back community center, offering Volcano vaporizers for use in the lounge’s large club-like room, plus events like movie nights and open mics. WHERE: Adjacent to Moscone Center and Yerba Buena Center for the Arts and near the San FranciscoMuseum of Modern Art, the Jewish Museum, AT&T Park and major hotels. GET THERE: From Union Square / Powell Street, head south on 5th. Turn east on Howard. Lounge 847 is mid-block on the south side of the street. From AT&T Park or Caltrain, take Muni bus 30 or 45 from 4th and Townsend north to 5th and Howard. Walk one-half block east on Howard. Lounge 847 is on your right, just before The Green Door dispensary. Photo credit: Igzactly 420 via Yelp. WHY GO: Colorful and cozy vaping lounge featuring five Volcanos, comfy chairs and couch in a living-room like setting. WHERE: In the financial district, near the Embarcadero, AT&T Park and the Greyhound bus station. GET THERE: From the Embarcadero, head six blocks west on Howard Street. Igzactly 420 is on the right. From AT&T Park or CalTrain, take the 10 Muni bus to 2nd Street, exit at Howard and walk west, toward the end of the block. From the Greyhound station, walk west on Folsom Street, turn north on Fremont Street and west again on Howard, about a 7-minute walk. HOURS: 11 a.m-10 p.m Mondays-Saturdays, 11 a.m.-7 p.m. Sundays. 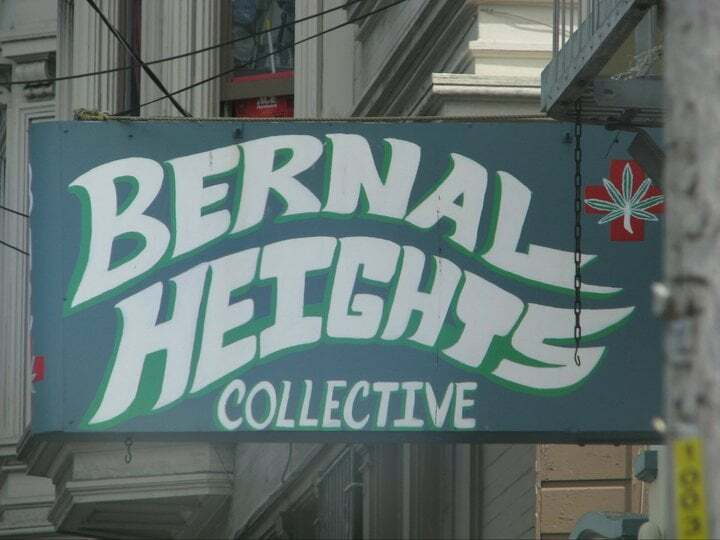 Photo credit: Bernal Heights Collective via Yelp. WHY GO:Full smoking and vaping lounge inside a neighborhood dispensary whose atmosphere is not unlike a college dorm common room. The consumption area — equipped with two each Volcano vaporizers, couches, tall cafe tables and chairs, televisions, ashtrays and matches — greets visitors and opens into the dispensary itself. There’s a half-hour time limit. Pet-friendly. WHERE: South of the Mission district, at the base of Bernal Hill, an open space over which lies both the Alemany flea market and farmers market. One block from Mitchell’s Ice Cream — old-school San Franciscocustard confections and flavors of the south Pacific and south of the border. Immediate neighborhood is chock-a-block with Latin and Asian restaurants, markets and bakeries. GET THERE: Mission Street Muni buses stop at 29th Street, closer to Bernal Heights Collective than you can hope to park a car. Walkable from the Muni Metro train stop at 29th and Church streets heading from Castro, Noe Valley or Haight-Ashbury neighborhoods. Walkable from the first BART station south of the Mission district. HOURS: 8 a.m.-8 p.m. daily. Photo credit: 1944 Ocean Collective via Yelp. WHY GO: Vape bar with Volcanos. Hashish connoisseurs come here for high-end extracts that cost up to $100 per gram. Pet-friendly. Relatively easy parking. Use the dispensary’s app en route to expedite your order. WHERE: In one of San Francisco’s less-traveled, mostly residential neighborhoods between San Francisco City College and San Francisco State college. A short walk and a brief ride on the 23 Muni bus gets you from 1944 Ocean Cooperative to Ocean Beach and the San Francisco Zoo. GET THERE: From downtown or the Castro district, take outbound Muni Metro K train to Ocean Avenue and Fairfield Way. From the De Young Museum or Tea Garden in Golden Gate Park, take 44 Muni bus toward Hunter’s Point; transfer to Muni Metro K train at Forest Hill Station,, exit at Ocean Avenue and Victoria Street. Walk short distance to dispensary. HOURS: 10 a.m.-8 p.m. Mondays-Thursdays, 10 a.m.-10 p.m. Fridays-Saturdays, 11 a.m.-6 p.m. Sundays. This entry was posted in Regulation and tagged lounges, public use, social use. Bookmark the permalink.